Starting from birth and continuing to early childhood, children make extensive use of all of their senses to navigate the world. From feeling different textures to putting toys inside their mouths, children rely on their senses to make sense of their environment. Sensory exploration is an important part of early childhood development. The active use of their senses—sight, hearing, smell, taste, touch, movement and balance—is crucial to brain development. Combined with children’s natural curiosity and inquiry about the world around them, sensory play helps them process information and build associations that are important for cognitive development. For this reason, sensory play has become central to modern principles of childcare. To learn more about the role of sensory play in early childhood education, here are some of the essential facts and benefits of sensory play that you need to know. At Kinda Mindi Early Learning Centre, we provide a play-based learning environment for children aged 6 weeks to 6 years old. For more information on our childcare services and curriculum, visit our Castle Hill childcare centre today. Most of the time, we only associate the word sensory with the sense of touch. Toddler activities such as picking things up and holding them to feel their texture fall under this category. However, sensory play is more than just touching. Sensory play refers to activities that stimulate a young child’s senses. These senses include the five basic senses, namely sight, hearing, smell, taste and touch. It also includes other senses such as body awareness, which is the sense of the position and movement of the body, as well as balance. Sensory play has a crucial role in early childhood development. Research has shown that as children use their senses in conjunction with one another, it helps them develop strong nerve connections in the brain. 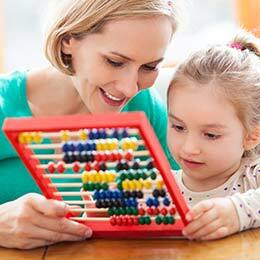 This leads the child to develop a strong foundation to be able to complete more complex learning tasks. Sensory play also supports cognitive development. As they go through exploration through their senses, children learn to understand new things. They learn about the properties of each object they observe and manipulate. It also helps refine their threshold of information, keep what is useful and filter out those that are not. Children also develop their language skills through sensory play. As they explore new tastes, smells and textures, they will find new ways to describe the objects they find around them. They will be able to describe colours and shapes. Food will be described as salty or spicy, etc. Sensory play also strengthens their fine motor skills. Children use their hands primarily to manipulate objects. Sensory play involves touching, holding, pinching, pouring and sorting, all of which contribute to strengthening their dexterity. Fine motor skills will be used in writing, tying their shoes, buttoning their shirts, among other things. Sensory play is an important part of the Kinda Mindi early learning centre curriculum. Guided by the Early Years Learning Framework, we aim to develop children with curiosity and the love for learning through sensory play. We believe that this provides a solid foundation for them as they transition into school. For more information about sensory play and other aspects of early childhood education, talk to our educators at Kinda Mindi Childcare Centre. Visit our Castle Hill childcare centre at 14 Garthowen Cres or call us on (02) 8850 3365.